The week's theme at the Trendy Treehouse is "Father's Love". I guess the theme is "Father's Love", since yesterday was father's day. Now I can't really contribute properly to this, as I grew up without a father. I grew up with a mother and grandmother... so today my post is "Grandmother's Love". 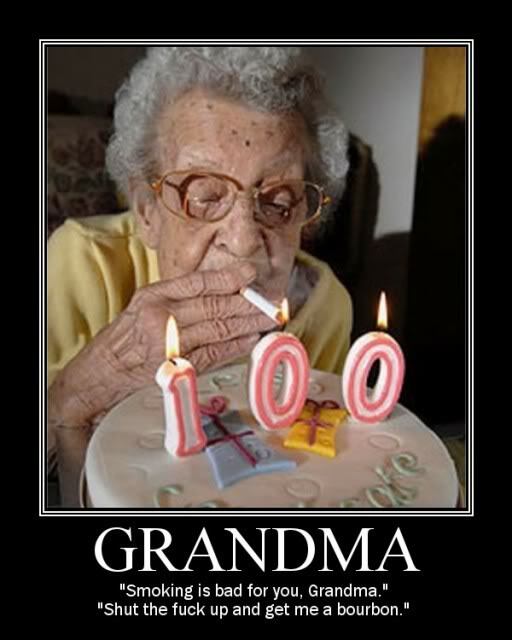 This isn't a pic of my grandma, nor is my grandmother 100, nor does she smoke... I just thought this was funny and had to post! 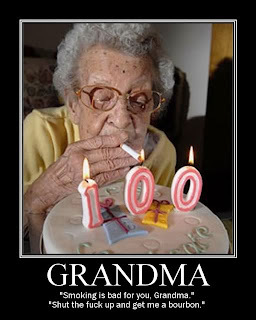 Grandma I love you... and sorry about the swearing!! !